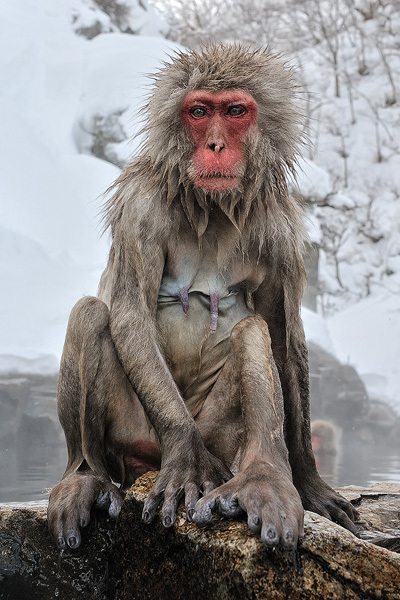 A Japanese macaque (Macaca fuscata) has just gotten out of the natural hot spring behind it. The effect is a bit like watching a cat that has accidentally fallen into the bathtub - they seem to have shrunk considerably and look, well, ridiculous. What is fascinating, is that it takes only one good shake and a minute or two and they're completely dry and fluffy again.